I had a grey dupatta[shawl] with red& white ikat border.To make it a salwar[Indian tunic] set,I bought a plain red handloom cotton fabric. 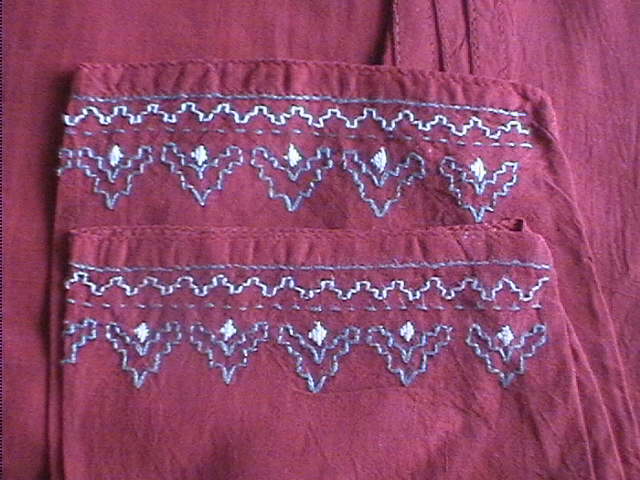 The pattern chosen was simple phulkari[suface satin ] border for neck&sleeves. I also found some novelty silver beads for the neckline[now they are easily available, earlier they were quite scarce,I was excited to acquire them. 3 lines of zigzag coral st[I was learning this stitch] and then two geometrical patterns were repeated throughout the neckline,then I attached these novelty silver beads.two shades of grey and off white colour threads were used. 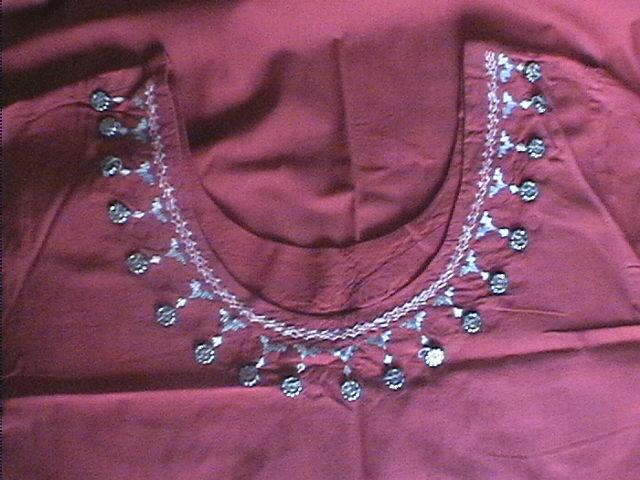 Again a simple pattern, which matched the neck pattern,made with holbein [double running] stitch, and back stitch. Generally not too fond of grey colour,but this dupatta caught my eye, and with the matching beads, Very satisfying.